Timberland returns are driven primarily by the biological growth of trees, which is a physical process. Consequently, timberland’s return generating process is largely independent of the factors that provide returns from equities and fixed income. 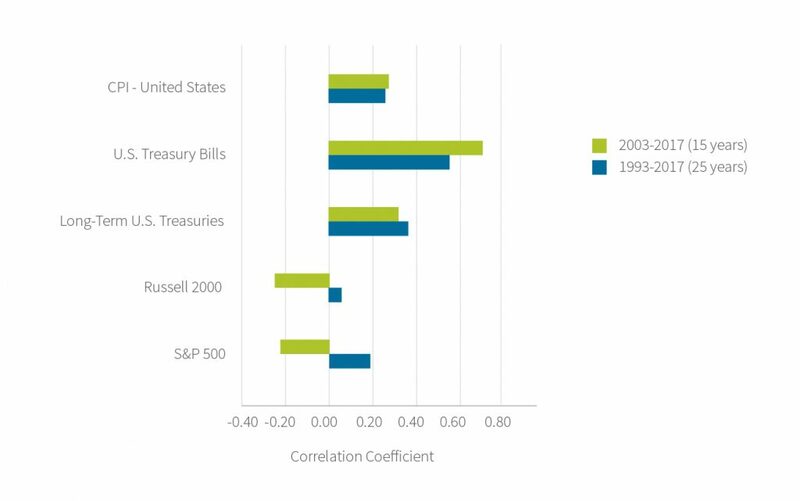 As a result, the correlation of timberland returns with most traditional asset classes is not statistically different from zero.